YouTube is one of the most restricted platforms online, where videos, channels, and sometimes the entire website are blocked from viewing. This is becoming a growing problem around the world for various reasons. But luckily there are some simple solutions to quickly and safely unblock any YouTube video. The safest and most effective way to unblock YouTube is with a VPN (virtual private network). 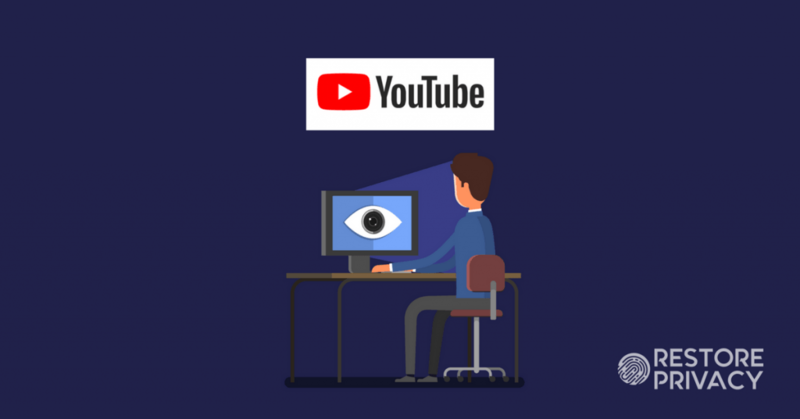 Not only will a VPN unblock any YouTube video, it will also encrypt and anonymize your online activity – thereby protecting you from government surveillance, corporate surveillance (YouTube), hackers, and other third-party snoopers. The best VPN for unblocking YouTube is ExpressVPN – but we will discuss some other options as well. Also, never forget that YouTube is a tool used for data collection for the parent company Google and the surveillance state. In other words, every video you watch and everything you do on YouTube will be linked with your identity and used to build up a user profile. This user profile can then be shared with government surveillance agencies (see the PRISM program), sold to third parties, or used to hit you with targeted advertising. There are many different reasons that YouTube might be blocked in your location. Often this is due to censorship of certain videos, copyright claims, or the publisher of the video has simply decided to restrict its availability. YouTube videos are blocked or censored in many different countries. One growing problem we find throughout the world is censorship. Ideas, viewpoints, or facts that may be deemed controversial or “offensive” are often censored on YouTube, even if the video does not break any laws or YouTube guidelines. The problem here is that anything could be deemed “offensive” and thereby censored or blocked from viewing. Some countries, particularly Germany, are enacting laws which force social media platforms – including YouTube – to remove or block access to content that’s deemed to be “illegal”. These laws are incredibly vague and give governments unprecedented control over the flow of information online, states Human Rights Watch. Worldwide access – A good VPN service will offer a selection of worldwide servers to access YouTube from any country, at any time. This allows you to spoof your location from a variety of VPN servers located around the world to unblock videos that are only available in certain countries. Safety – Many websites recommending dangerous free software for unblocking YouTube. For example, the free VPN Hulu is recommended by some websites for unblocking YouTube. The problem, however, is that Hulu was caught fraudulently stealing user bandwidth and then reselling it through a sister company. Many other free VPNs or free extensions are basically malware in disguise – quietly collecting all your data, which will be used to hit you with ads. Anonymity – A VPN will also give you more anonymity online by encrypting and securing your internet connection. This means that all of your data and activities will be unreadable to governments, hackers, and third parties. The best and safest VPN for unblocking YouTube is ExpressVPN. Heres a basic diagram showing how ExpressVPN unblocks YouTube and protects your privacy at the same time. ExpressVPN is the best VPN to unblock YouTube and access any restricted video. Following the steps below, you can easily unblock YouTube in just a few minutes. If you find any of this confusing or want further explanation, you can chat with ExpressVPN’s 24/7 live support here. Now we will cover a few of the best VPN services for YouTube. If you are ready to start accessing all the content you want, the next step is selecting the best VPN for YouTube. Excellent performance allowing you to stream YouTube videos in HD quality (assuming your internet connection has the bandwidth). User-friendly applications that are well-designed and easy to use. Large server network allowing you to connect to locations all over the world. Excellent customer support if you need any help getting everything setup. Great value with discounts offered for Restore Privacy readers. Now we will take an in-depth look at each VPN service. ExpressVPN is a trusted and highly-recommended VPN provider based in the British Virgin Islands. It offers some of the best speeds I have tested, which you can see in the ExpressVPN review. ExpressVPN is known as one of the best VPNs in the industry for online anonymity, strong encryption, and security. ExpressVPN’s apps are very easy to use with some great features to keep your data absolutely secure (no traffic leaks). It is a great Netflix VPN and can also be used with other streaming services, such as BBC iPlayer and Hulu. And finally, ExpressVPN’s support is the best in the industry. They offer a 30-day no-questions-asked money back guarantee along with 24/7 live chat support if you need any help. ExpressVPN Discount – ExpressVPN is offering an exclusive 49% discount coupon for Restore Privacy readers. This drops the price down to $6.67 per month from the regular rates. NordVPN is a secure, privacy-focused VPN service based in Panama. They offer a huge selection of server around the world and great apps for different devices. This no logs provider is a popular choice for both privacy-focused users and people who enjoy streaming Netflix and other services. NordVPN also offers some unique features for security and online anonymity. These include double-hop VPN server configurations, and Tor-over-VPN servers. Their updated apps give you advanced leak protection to keep your data secure. Their customer service is also great as NordVPN offers 24/7 live chat assistance and a 30 day money-back guarantee on all subscriptions. NordVPN Coupon – NordVPN is currently offering a 75% discount coupon here, which reduces the price down to $2.99 per month. This makes NordVPN the cheapest VPN for YouTube featured in this guide. VyprVPN is another solid service for unblocking YouTube. It is simple, user-friendly, and very secure. VyprVPN is also unique in that they own every server in their network (no third parties). This offers a higher level of data security along with solid performance. If you are located in a restricted network where VPNs may get blocked, VyprVPN may be the best choice. The premium plan comes with the Chameleon Protocol, which is a self-developed VPN protocol that obfuscates (hides) your traffic and gets around VPN blocks. This makes it a great choice for places like China, or school or work networks that block VPNs. VyprVPN discount – You can pick up a 25% discount here, which drops the price down to only $3.75 per month. Every VyprVPN subscription plan also comes with a 30 day refund window, which gives you time to test out the service. YouTube censorship is a growing problem in many countries around the world. If you find that YouTube is not available in your country, it may be that the video is restricted to a certain geographic location. But there are also countries that block the website entirely. The countries in red have blocked YouTube entirely. If you are living in a country that blocks YouTube, chances are, the government is also implementing other online restrictions. Even worse, your browsing history could potentially get you in trouble – especially if you visit sites that the government attempts to block. The solution to this problem is to always use a VPN when you are online. This will encrypt and anonymize your activity, essentially making you anonymous, while also unblocking any YouTube video. Many countries also attempt to block VPNs, such as in China. However, both ExpressVPN and VyprVPN can break through these restrictions with their obfuscation features, which conceal the VPN traffic. Many schools or universities block YouTube for various reasons. A school may block YouTube to save on bandwidth, or perhaps because they don’t want people sitting around watching movies. Either way, there’s a simple solution: a good VPN. Just follow the steps above to install the software and unblock any YouTube video. Another added benefit of using a VPN on your school’s network is that the school will not be able to spy on your browsing activities. This is because the VPN will encrypt your traffic between your device and the VPN server, thereby making it unreadable to the network administrators at your school. There are many different YouTube proxy sites that pop up from time to time. But before you start using one of these YouTube proxies, you should understand what is going on behind the scenes. A proxy is just a server that redirects your traffic. The problem, however, is that a proxy does not encrypt your traffic. Therefore your activities can still be monitored and recorded by third parties. As we have discussed before, data collection is a large and profitable business. Companies often offer free apps that are used to collect your data, which is then sold to third parties and used to hit you with ads. Recall that this is the exact business model of Google, Facebook, and others. For these reasons I typically do not recommend using free software that may be hidden spyware. Note that a paid VPN service can also effectively proxy (redirect) your traffic and conceal your location through any server in the VPN network. But unlike a free web-based proxy, your traffic will be encrypted and your privacy will be protected. One interesting development with YouTube is the recent trend in censorship. This is just another example we see playing out whereby online freedom and free speech is being restricted for vague and nebulous reasons. 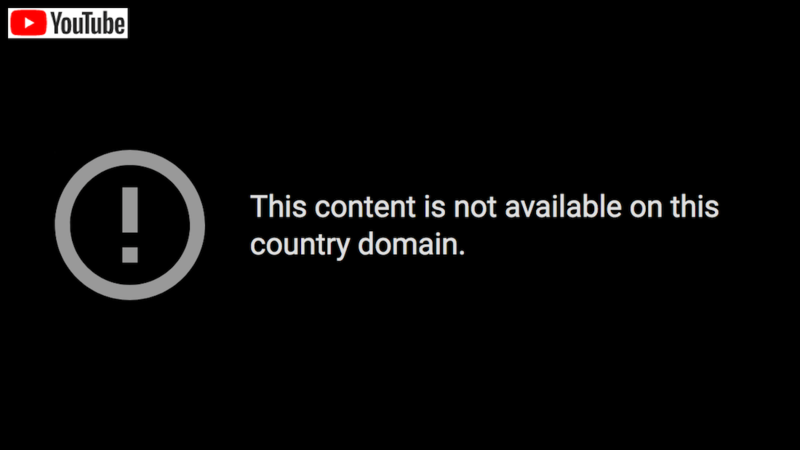 In this case, it is YouTube itself that decides to censor a video or channel, rather than a country actively blocking access. There have been many reports recently of entire channels being deleted, in addition to numerous videos. Sometimes this is due to alleged copyright violations and sometimes it is because somebody determines a video to be “offensive”. Either way, the result is the same: the video is gone. Unfortunately, if YouTube is censoring content on its own (by deleting videos or channels), a VPN service will not be a solution. However, if you feel that a video may be taken down or censored, you can download it before that happens using KeepVid or Hooktube. One alarming fact that most people do not discuss is the cooperation between government and private entities to monitor and record your activities. This is all clearly explained if you research the PRISM program, which details the long-standing cooperation between US surveillance agencies and private companies, such as Google and Facebook. According to leaked documents, Google (the owner of YouTube) has been working closely with the NSA for government surveillance since 2009. In other words, YouTube is watching you. YouTube is watching you and recording your activities. Use a VPN whenever watching YouTube videos. A VPN will hide your true IP address and location, while also encrypting and anonymizing your traffic. This makes it extremely difficult for YouTube to track your activities. Stay logged out. Stay logged out of YouTube or your Google accounts as much as possible. When you are logged in, everything you do is being tracked and linked to your user profile. Be careful when watching YouTube. By now it should be clear, a good VPN service is the safest and most effective tool for unblocking any YouTube channel. The one drawback here is that a good VPN is not free, but purchasing a VPN offers many benefits. Unblock YouTube videos from anywhere in the world. Encrypt and anonymize your traffic, thereby protecting you against government surveillance, corporate surveillance, snoopers, and hackers. Allow you to safely stream YouTube videos and any other content with trusted, reliable software. Are you aware of these? Yes, I covered the IPVanish logging scandal here. Hooktube seems to work well with restricted videos, sometimes I’ve watched videos from other domains without a problem, but yes, VPN is the best option. The advantage of Hooktube, is that there is no tracking & it runs much quicker, but if there is a live webcast, you’ll be forced to wait for an uploaded replay or watch it in “Normal Embed” & providers like Vevo don’t work & you’ll have to run the Normal Embedded videos. Hooktube is great option. The only advantage YouTube has is that you can watch some videos in quality greater than Full HD. 1240 res is alright, I can live without seeing a clip in 1080p or even 720p, small price to pay for less tracking & better performance.